Description: Rectangular badge. 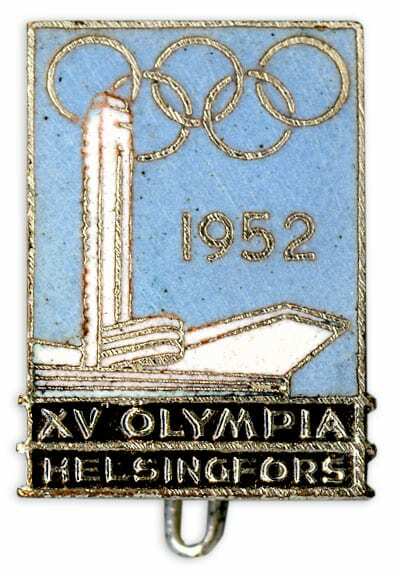 On a light blue background the Stadium tower, the Olympic rings and the year 1952. Below these is the text XV OLYMPIA HELSINKI.